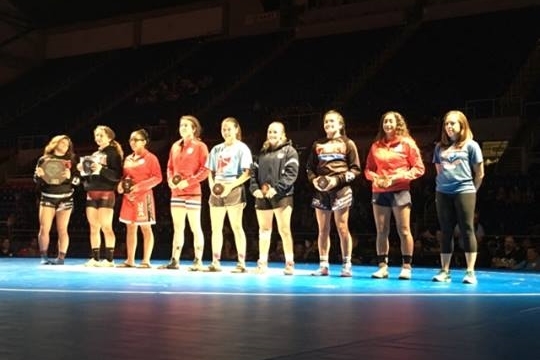 Josh Ramirez officially placed sixth in the USAW Junior Freestyle Nationals in Fargo, North Dakota, today, becoming the only male on Team Louisiana to merit All-American status. The accomplishment was probably bittersweet, though, as after his semifinals match the on-site trainers would not clear him to compete again due to a minor injury. The semifinals match with Missouri's Canten Marriott was a good one. Ramirez scored the first two points of the match with a little more than 30 seconds remaining in the first period, but Marriott tied the match at 2-2 before the period ended. The match remained tied until little more than one minute remained when Marriott took a 6-2 lead. Marriott was able to maintain that lead until the match ended. Ramirez was slated for a rematch with Jackson Hemauer of Wisconsin in the consolation semifinals. Ramirez defeated Hemauer 12-1 in his first match on Thursday, but when the match appeared on the TrackWrestling "Dashboard", Hemauer was awarded the injury forfeit. Coach Jon Orillion said the injury was "nothing to worry about" and that it was the trainers who decided Ramirez should not continue. Ramirez was also forced to cede the match for 5th place to Ohio's Timothy Bowers. Ramirez finished the event with an official record of 4-3, albeit in matches he actually wrestled he was 4-1, including a 12-8 victory over Jack Jessen of Illinois who is ranked #8 in the nation. The brackets for the 170 lbs. competition, which had 91 participants, may be found in the below table. Ramirez' portions are denoted via an asterisk (*). Josh Ramirez, after a scare in the Round of 32, has advanced to the semifinals of the Junior Freestyle Nationals in Fargo, North Dakota. In his last match on Thursday, Ramirez fell behind 4-0 but battled back to even the score at four apiece. As Ramirez scored the last points, he was declared the winner of the 4-4 match. This evening in the semifinals Ramirez will face Missouri's Canten Marriott in match # 2244. 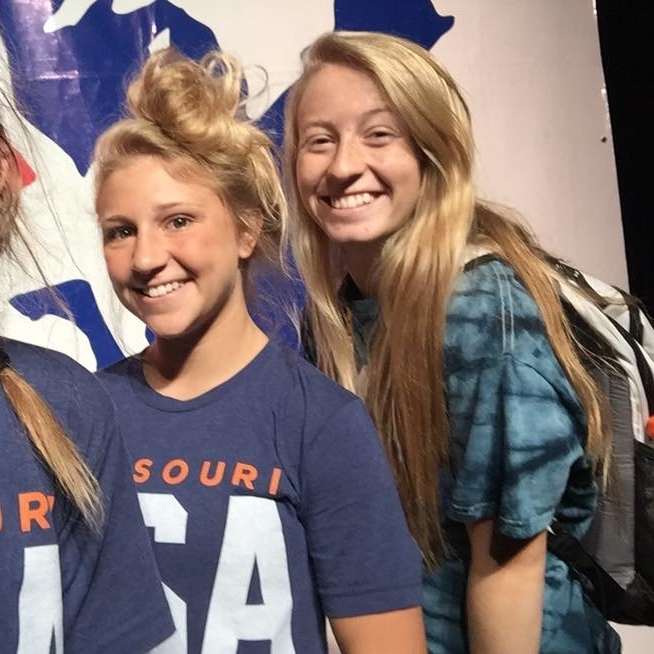 Marriott placed third in the 2016 Missouri Class 4 state championships. He is not a "Leveled" wrestler in this event (Ramirez is a "Level 7"), but Marriott defeated two "Leveled" opponents ("Level 5" and "Level 7") on his way to the semifinals, and should not be underestimated. At 145 lbs. Kendon Kayser's consolation streak came to an end in Friday's second match. Kayser started the day with a fall over Pennsylvania's Andrew Barnett in 1:31. In his next match he fell to Arizona's Cory Crooks 11-1. Kayser finished the event with a 5-2 record. Wrestling is slated to start at 6 p.m. to determine who will compete in Saturday's medal rounds. 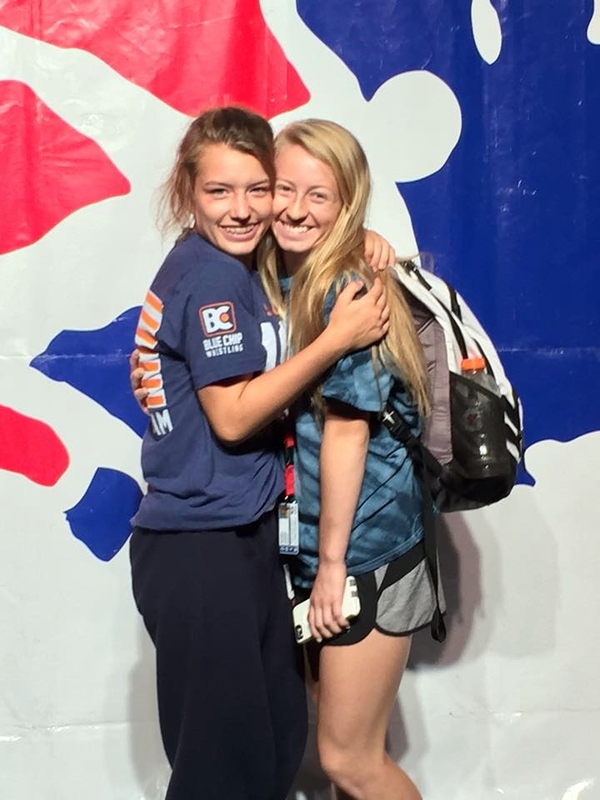 Two Team Louisiana members survived to compete on Friday in the USAW Junior Freestyle Nationals in Fargo, North Dakota. Five others did not. Josh Ramirez, at 170 lbs., after receiving a first round bye, scored a 12-1 technical fall over his next opponent, Jackson Hemauer of Wisconsin. In his next match, against Utah's Koy Wilkinson, Ramirez fell behind 4-0, but then rallied to tie the score at 4-4. That was the final match score and, as he scored the last points, Ramirez was declared the winner. Friday he will face David Butler of Kansas (match # 1778) for a spot in the quarterfinals. Kayser, at 145 lbs., won his first match 10-0 but fell by the same score in his second match to Ryan Deakin of Colorado (who later advanced to the Round of 16). In the consolation rounds Kayser scored two 10-0 technical falls and survived a third match against Pennsylvania's Riley Palmer 7-5. Kayser' first match on Friday is against Andrew Barnett of Pennsylvania (match # 1855). At 160 lbs. Joey Foret won his first two matches by scores of 8-3 and 4-2 before being upended 11-0 by Lane VanAnrooy of Oregon. In his first consolation round match Foret lost via a first period fall. At 145 lbs. Jake Rando advanced via a bye and then defeated Dylan Manser of Ohio 10-0. In his next match, however, Rando was beaten 10-0 by Alexander Lloyd of Minnesota. In his first consolation match Rando and Wisconsin's Peyton Mocco combined for a total 29 points, but Mocco had 15 of them to Rando's 14. Josh Candies (132 lbs. ), Josh Bell (138 lbs.) and Mason Rabel (220 lbs.) went 0-2 on the day. Bell's Round 1 opponent advanced to the Round of 16. In what was not the best of days for Team Louisiana. Brandon Stein and Grant Hughes were the only two to win a match in the Cadet Freestyle Nationals event in Fargo, North Dakota. In the first round of the 113 lbs. weight class, Stein lost to Alaska's Jacob Spencer 10-0. He rebounded in the consolation brackets with a 10-0 win over Minnesota's Hudson Dyke before falling in his next match, against Richard Halal of New Jersey, 10-0. After a first round bye at 138 lbs., Hughes lost to Gerard Angelo of New Jersey 10-0. In the first round of the consolation bracket, Hughes defeated Utah's Cameron Brann 11-3. In his next match, Hughes and his opponent, Hunter Luke of Illinois, scored a total of 34 points. Hughes, however, was on the short side of a 20-14 match. Also participating in the event, yet losing their first two matches, were Jared Thieler and Grant Rabel. 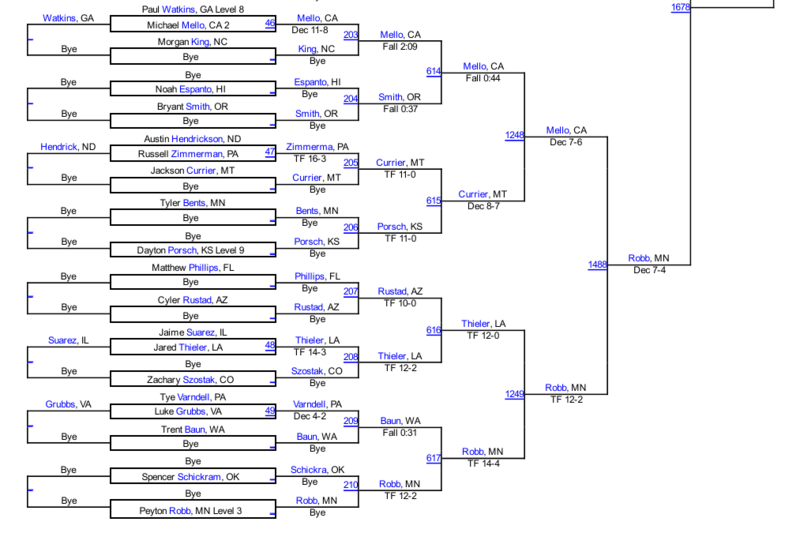 Thieler's championship bracket opponent, Aiden Medora of Wisconsin, advanced to the quarterfinals at 126 lbs. Rabel, at 195 lbs., also lost to a quarterfinalist in Jake Cook of New York. 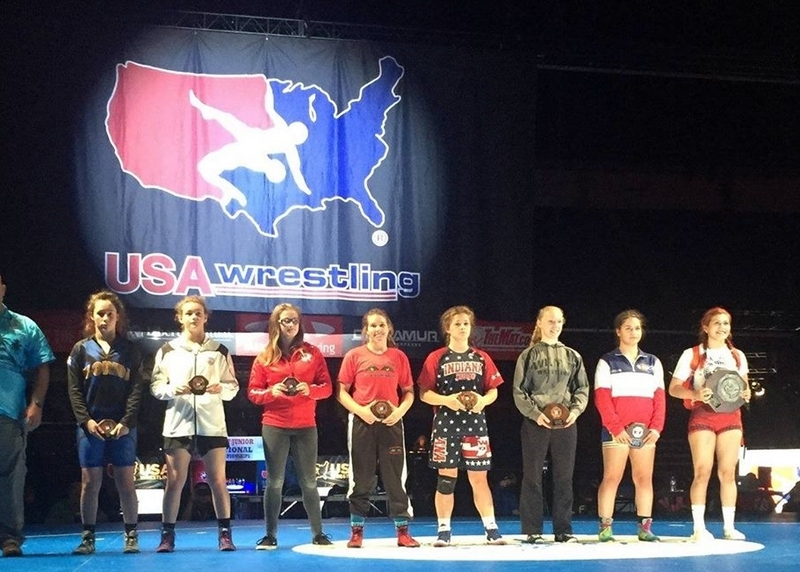 Abby Nette (photo right) needed just under two minutes to score a 12-1 technical fall over McKenna Hutchinson of California and secure fifth-place, as well as All-American status, at the USAW Junior Women's Freestyle competition in Fargo, ND. Nette took a 4-1 lead after 48 seconds, and then after 1:28 she added two more for a 6-1 lead. Thirty seconds later she had amassed another six points to end the match. Nette finished the tournament with a 6-2 record. 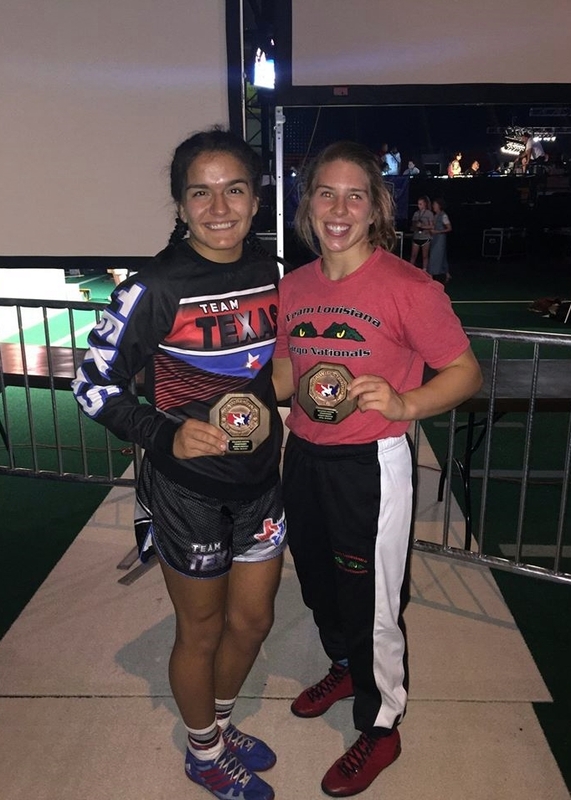 Doyline High School alumna Brittany Bates (photo left), competing for Team Texas, wasted little time in securing a seventh-place All-American finish over Dalla Garibay of California at 130 lbs. Bates was ahead 4-0 after 33 seconds had elapsed. After 1:20 had gone by she held and 8-0 lead and three seconds later secured a 10-0 technical fall (1:23). 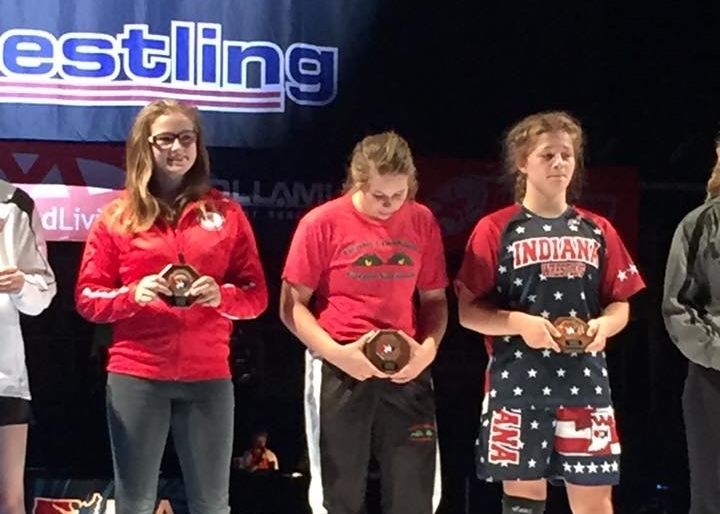 This is Miss Bates' 17th All-American tournament finish and her fourth at the Fargo Nationals. Bates finished the tournament with a 6-2 record. Jared Thieler ran into trouble in his bid for a top-eight finish in the Cadet Greco-Roman Nationals in Fargo on Monday. 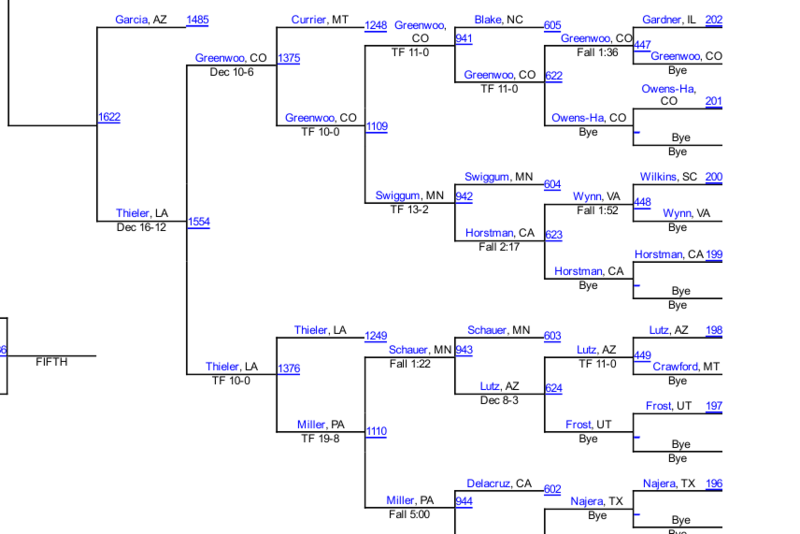 Thieler lost via a 10-0 technical fall to Arizona's Jacob Garcia, who two matches later also scored a 10-0 TF over Minnesota's Robb, who defeated Thieler in the championship bracket (Robb finished fifth). Garcia went on to win third place with a 12-0 technical fall over California's Bernie Truax. Thieler's 5-2 record at 126 lbs., though, with his losses to wrestlers who placed fifth and third, equals a phenomenal job by the soon-to-be St. Paul's junior. It was a rather tough day for Louisianans in the Junior Greco-Roman event. After a bye and a second round 11-0 technical fall, Joey Foret fell 10-0 in the championship bracket and then 8-3 in his consolation round match at 160 lbs. Former Brusly and current Stillwater High School (OK) stand-out Kendon Kayser also had a tough day at 138 lbs. Kayser won his first two matches via 10-0 technical falls, but then fell in a close 7-5 match to North Dakota's Mason Schultz. In his first consolation round match, Kayser lost 10-0 to Idaho's Sam Eckhart. Both are veterans of this level of competition, however, and should rebound well in the Junior Freestyle competition which starts on Thursday. Abby Nette took a first round bye and then scored a 15-4 technical fall over California's Havel Olmos to advance to Tuesday's third round at 139 lbs. Olmos was a "Level 4" competitor, and on Tuesday Nette faces a "Level 1" opponent in Hawaii's Teshya Amo. Raven Guidry, at 105 lbs., started off both of her matches with leads but then fell via falls in the Women's Freestyle event. Guidry led 6-0 in the first period against Illinois' Mia Rodriguez, but then suffered a fall in 1:53. In her consolation match Guidry built a 4-0 lead but found herself behind 6-4 after the first period. In the second Guidry tied the match 6-6, but then succumbed to a fall in 3:19 to California's Valerie Perez. 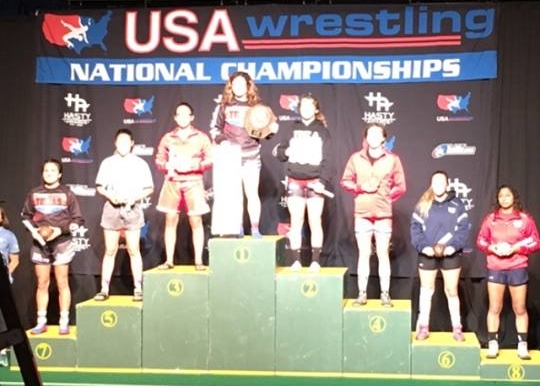 Doyline High School alumna Brittany Bates is also in Fargo and is still competing in the championship bracket as a "Level 3" wrestler. Bates pinned her first opponent at 130 lbs. in 1:23 and then scored a 10-0 technical fall to advance to the third round. On Tuesday she will meet another "Level 3" in California's Jenna Garcia, with the winner advancing to the quarterfinals. In a bracket with seventy-nine competitors, Team Louisiana's Jared Thieler (St. Paul's) is one of only 12 remaining competitors vying for All-American status and medals at the 2016 USAW Cadet Greco-Roman Nationals competition held at the FargoDome in Fargo, North Dakota. In the championship bracket Thieler scored three consecutive technical falls. First was a 14-3 win over Jaime Suarez of Illinois. Next came a 12-2 win over Zachary Szostak of Colorado, followed by a 12-0 shutout of Arizona's Cyler Rustad. One round from the quarterfinals Thieler fell to last year's runner-up, Minnesota's Peyton Robb, by a 12-2 technical fall. Thieler's three championship round wins put him in the fifth round of consolation matches, in which he scored a 10-0 technical fall over Pennsylvania's Gabe Miller. Next up was Colorado's Job Greenwood, one of 10 "leveled" entrants in the weight class. ("Leveled" wrestlers are not specifically seeded, but due to high placements in other national events are placed away from each other in the earlier championship rounds.) Thieler won that match 16-12. Monday Thieler will square-off against Arizona's Jacob Garcia for at least a top-8 finish and All-America standing. No matter the result Monday morning, though, Thieler can already be very proud of a stellar Greco-Roman competition and a great start in his second Fargo Nationals competition. In their first taste of the Fargo Nationals, Brandon Stein (113 lbs.) and Grant Hughes (138 lbs. ), who also attend St. Paul's, both went 0-2. Come November, however, just competing in Fargo should prove very beneficial for both of them.